Helen Lorene Laird - Kain-Murphy Funeral Services-Serving Haddonfield, Cherry Hill, Haddon Heights, Haddon Township and surroundings. Wednesday, October 24, aged 92 years. 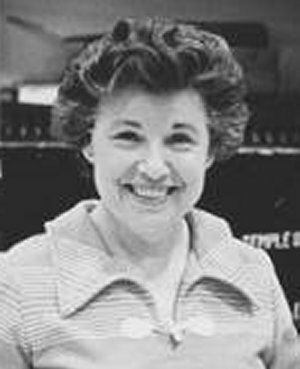 A Haddonfield resident for forty years, she was best known throughout the Philadelphia region as Dean of Temple University’s Boyer College of Music. Her glorious soprano voice, however, had been heard previously in solo performance with the Philadelphia Orchestra, which was among many of the leading ensembles throughout the United States and in Europe with which she sang during her career as soloist and in opera. She became known throughout the musical academic world also for her administrative acumen, which resulted in her election as the first female officer of the National Association of Schools of Music, the primary accrediting body for college music degree programs in the United States. Born in Harrisburg, Illinois, July 7, 1926, her exceptional musical talent became apparent from a young age. Singing opportunities came to her very early, and she matriculated at the University of Nebraska as a music major. Following a move by her family to Wyoming, she embarked upon and completed a graduate degree at Columbia University in New York City. After further vocal study and concert appearances in the United States, she went to Europe in 1953 and by 1954 had been engaged for leading roles at the Basel City Theater in Switzerland. Appointments followed at Mainz and Kassel in Germany, and for 14 years she was a leading soprano, with performances of major roles in over forty operas, averaging over a hundred performances per season. She found time to return to the United States for specific engagements. She garnered significant awards, including the first ever Blanche Thebom Award, the Laureate of International Competition in Geneva, and the Martha Baird Rockefeller Award for Vocal Performance. Included among her title roles were Verdi’s Aida, Puccini’s Madama Butterfly and Tosca, and Strauss’s Ariadne auf Naxos and others. Important also were several Wagnerian roles, including Eva in Die Meistersinger and Senta in The Flying Dutchman. Favorites included Mozart’s Countess in Figaro, Donna Elvira in Don Giovanni, and Chrysothemis in Richard Strauss’s Elektra. A review of her Madama Butterfly in Kassel said, “She created the timeless destiny of Madama Butterfly with her acting ability, with conquering naturalness, and with full use of her dramatic and moving vocal resources. “ Of her Ariadne, it was said in Frankfurt, “She unfolded a greatness of interpretation and bewitched the audience with her beautiful voice.” Her repertoire ranged from baroque to contemporary, with a particular attention to American works, which she enjoyed sharing with European audiences. Seeking to expand her teaching, she returned to the United States and accepted the post of professor and division chair of the opera and musical theater departments of the Cincinnati College Conservatory of Music at the University of Cincinnati, where for a decade she taught and administered one of the country’s notable university vocal and opera programs until accepting the post as dean at Temple University. While at Cincinnati she devised the first university program in musical theater in the United States. Her 15 years at Temple resulted in major growth by the school. During her tenure the College of Music merged with the New School of Music in Philadelphia, greatly enhancing Temple’s orchestral and other instrumental programs, resulting in the establishment of the New School Institute of Temple University. Additionally, she attracted substantial financial support to the university, resulting in the naming of the music college for benefactress Esther Boyer. New undergraduate and graduate programs were added under her guidance, including several doctoral programs. At her retirement, she was hailed as an exceptional professor and administrator and as one who encouraged and followed the professional success of her students, among whom are major American figures in opera and musical theater. She was a member of SAI, the women’s fraternity of music. Interment will be private. Plans for a memorial service will be announced at a later date. In lieu of flowers, contributions may be sent to the Helen Laird Voice/Opera Scholarship Fund at Temple University’s Boyer College of Music, Philadelphia, PA 19122.